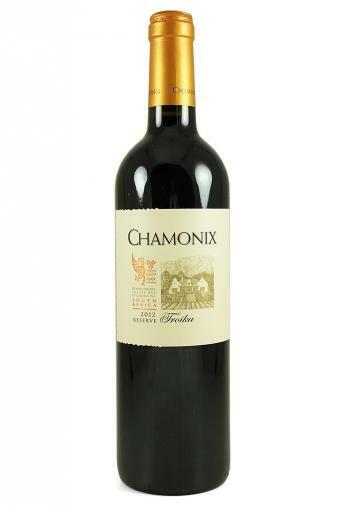 The Chamonix Troika (meaning: Russian sleigh pulled by three horses) has deep ruby mulberry colour when young, with scents that recall vanilla, sweet ripe cherries, blackberries, cinnamon and other spices. The wine is amply structured, full, round and smooth on the palate with rich fruit and berry sensations, fine harmony and length of flavour.Although impressive young, it should reach a prime at 10-15 years. The grapes are bunch-selected and berry-sorted by hand on sorting tables. Grapes are soft crushed and the must fermented in stainless steel and concrete fermenters at 28° C for 12-22 days on the skins with frequent pumping of the cap. The batches are assembled before bottling to enhance the complexity of a wine of about 14.5% alcohol that is cellared for at least 6 months to a year before release.